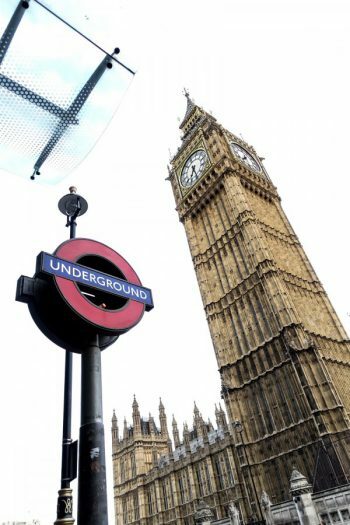 This past week has been very busy due to our trip to Amsterdam and Berlin Fashion Week. I knew that I wouldn’t have the time to keep you updated on the blog during these days and that’s why I prepared a couple of outfit post for this week. I already shared an outfit post on Monday that was all about how I wear dresses in winter. Today’s post is all about how I combined a midi skirt with leather boots. It’s a combination I first wasn’t sure about because it’s not exactly what I am used to wearing. I think I never combined a midi skirt with high boots or lace up boots. But there is a first for everything, and I have to say, that I do like how the outfit combination turned out. 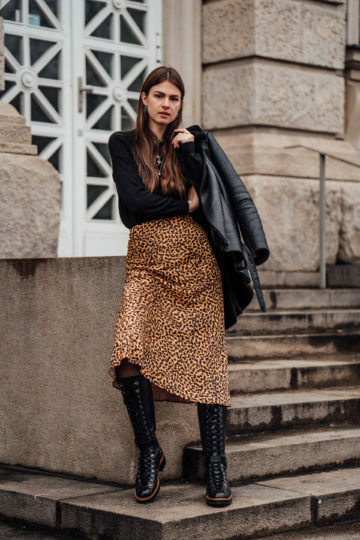 You have seen me wearing this leopard print skirt in midi length a couple of times now. I combined it with sneakers and platform boots, and these are the kind of shoes I would usually go for. 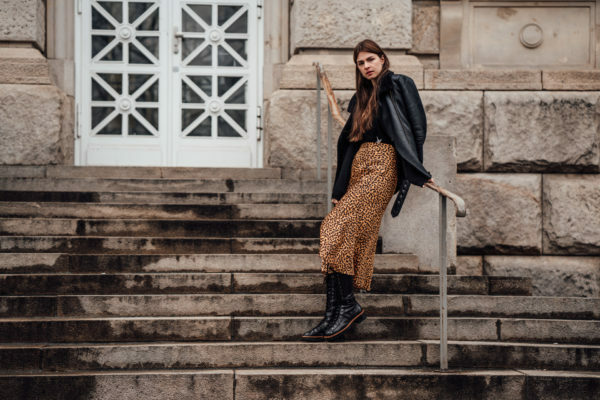 But the other day I wanted to try something new, and I actually think, that higher boots can work very well with midi skirts as well. And today’s outfit proves it. 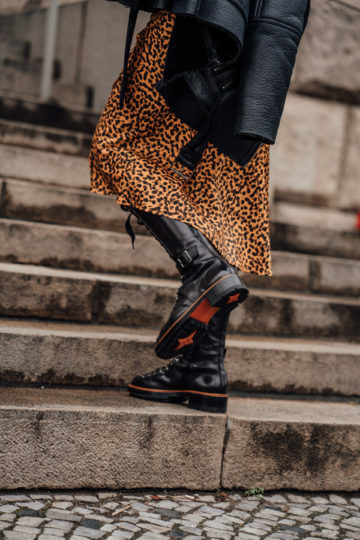 Combining midi length skirts (or dresses) with higher boots is actually a very good idea, especially when you want to elongate your legs and appear taller in general – not that I need to appear taller with my 1,80m haha. 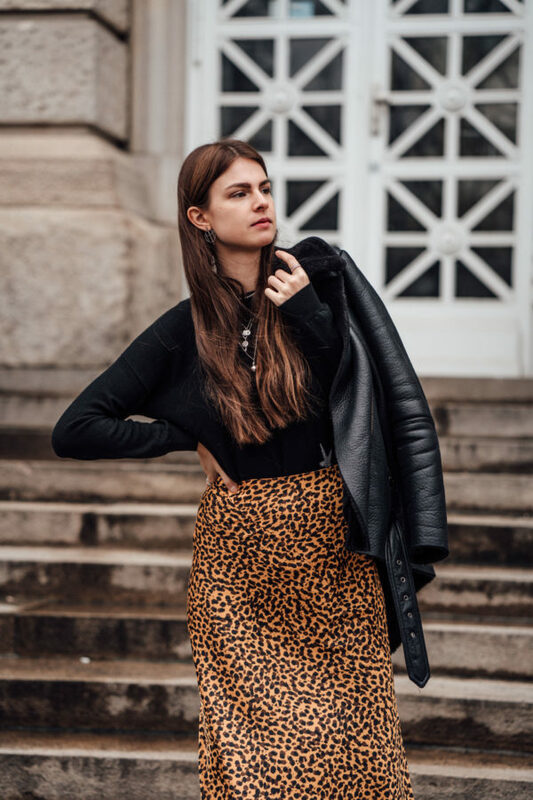 Just have a look at my “fashion looks” section and check out the other outfits with this leopard print skirt, you will see the difference and how much taller I look with this combination. 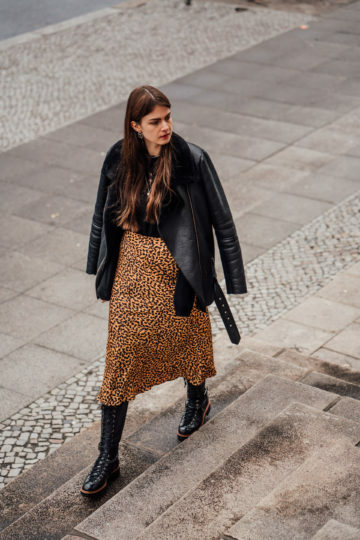 With that said, let’s talk about the rest of the outfit because I don’t think that I do have to add more to prove, that wearing a midi skirt with a pair of high leather boots is a good idea. For the rest of the outfit, I kept it very simple, so I just put on a black sweater as well as a black shearling jacket, and that’s it. I was wearing a few more layers underneath to avoid freezing: a t-shirt, a longsleeve, a pair of tights as well as biker shorts. If you want to know more about how I layer in winter when wearing a skirt or dress, make sure to check out the post I shared on Monday. 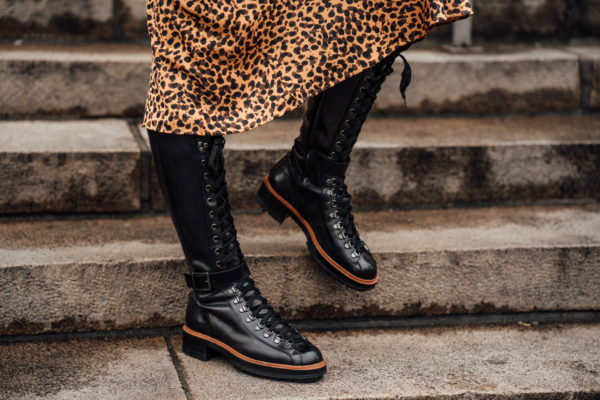 Are lace-up boots back in fashion? You know, that I don’t really follow the trends. Sometimes I wear what is in fashion; sometimes I don’t. In this case, I have to admit, that I actually don’t know if lace-up boots are a thing right now. But I can tell you that much: I like them no matter what the trends say. And I will continue wearing them, and if you do like this kind of boots as well, you should definitely wear them as often as you can. 🙂 Because you will look great in whatever you wear when you feel comfortable in it and when you enjoy wearing it. The reason why I like lace-up boots is that the lacing makes them look way more interesting than simple boots do. You can put on a pair of lace-up boots and combine them with a very simple look, e.g. a pair of jeans and a sweater, and the boots would make all the difference. What do you think? P.S. : I will start sharing outfits from Amsterdam, maybe even a little travel guide as well as everything about Berlin Fashion Week next week. For now, you can head over to Instagram or YouTube.